Published on June 7, 2014 in Better Grades, Mature Students, Memory Skills, MindMapping, Note Taking, Speed Learning, Study Habits, Study Mistakes To Avoid and Study Tips. 0 Comments Tags: Mind Mapping, MindMapping, Note Taking, Taking Notes. 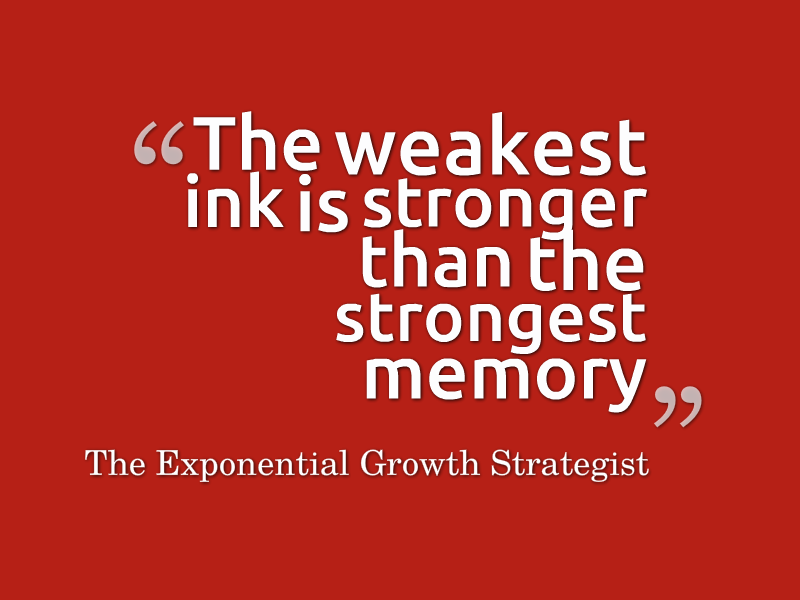 The weakest ink is stronger that the strongest memory. And the thing that surprises me the most is that the vast majority of attendees do not take notes – the EXPECT to remember what I have said. I can make a list of the 4 Keys To Success and within 10 minutes ask the audience to repeat them to me and THE ONLY ONES WHO CAN are the ones who took notes. How do the others ever expect to remember it the day after or a week later? Students of course take notes in class – BECAUSE they want to know what will be on the exam, but they usually don’t take them effectively – that’s why if you want to take the BEST notes possible, you need to switch to MindMapping To Get The Best Grades With The Least Amount Of Effort. Thank you to John Weiss of Keymetric Business Solutions for mentioning this quote during my Blogging For Small Business Workshop, in Corona, California. An event sponsored by Allegra Corona and attended by VIP Mastermind Club Members.